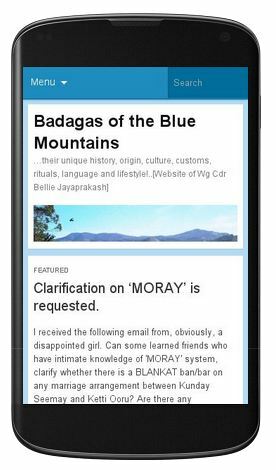 Badaga or as some like to call Badagu, is a ‘classic‘ and independent language spoken by Badagas of the Blue Mountains or the Nilgiri hills, in north -west Tamil Nadu, bordering Karnataka and Kerala. 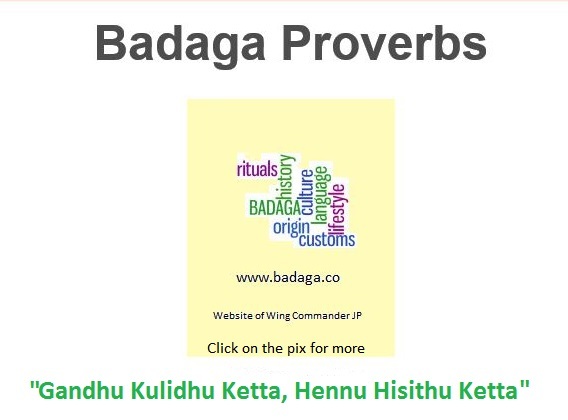 Though it is unique by itself, it can be said to be akin to Halaiya (old) Kannada more than any Dravidian language. But due to the geo – political reasons, it is more and more identified with Tamil. Unfortunately, some over enthusiastic scholars and elders have been trying to eliminate the sound ‘ha -ஹ ‘ which is an integral part of the Badaga language and replace it with ‘ah- அ ‘ with some unacceptable justification that these letters (as well as letter like Ja ஜ, Sa ஸ, Sha ஷ ) do not form part of pure/classical Tamil though they are very much in day to day usage. .
Let me elaborate and justify why ha and other letters, like ஜ, ஸ, ஷ etc should remain as a core letters/sounds in Badaga. A Badaga village is known as Hatti (ஹட்டி) and not as அட்டி. Let Hethe bless us !